This little guy decided to share lunch with me this afternoon. 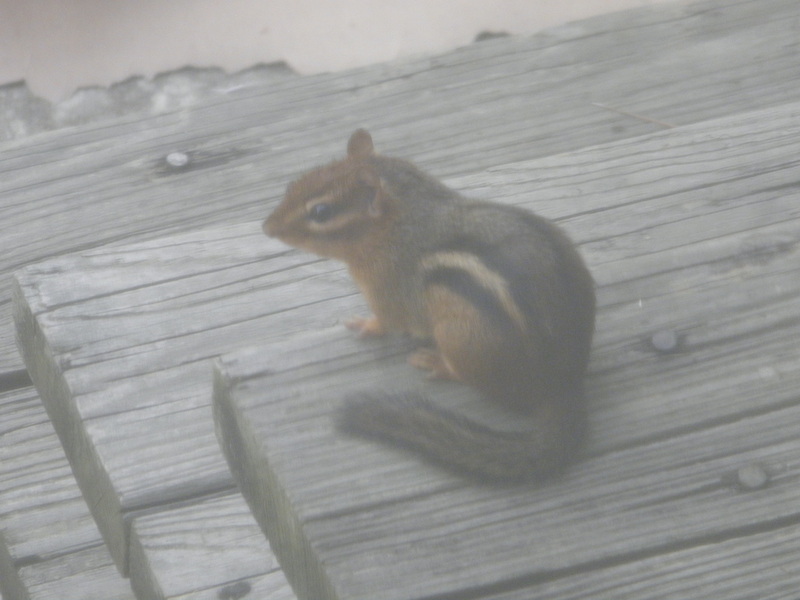 He was sunning himself on my deck steps. It’s a great picture considering I’m zoomed in crazy tight and shooting through my kitchen window. I think he’s going to be majorly bummed when we cut down our Chinese chestnut tree this winter. We’re leaving the oaks, so he should still have plenty to eat.